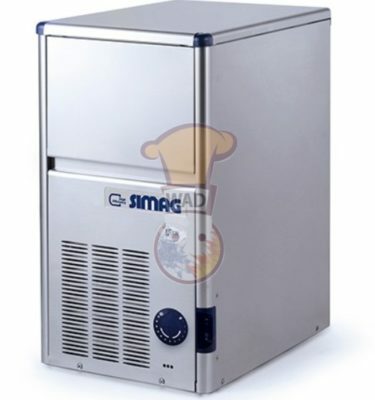 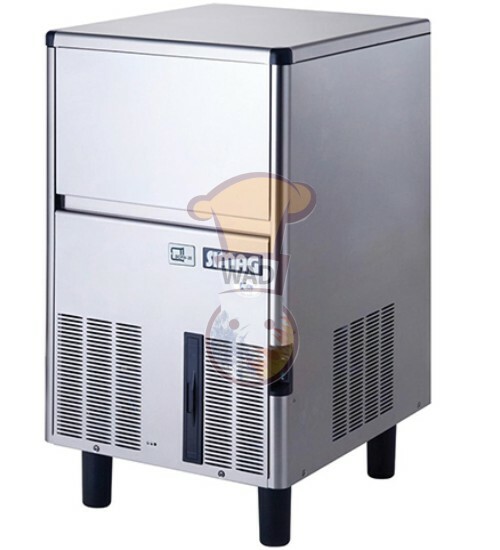 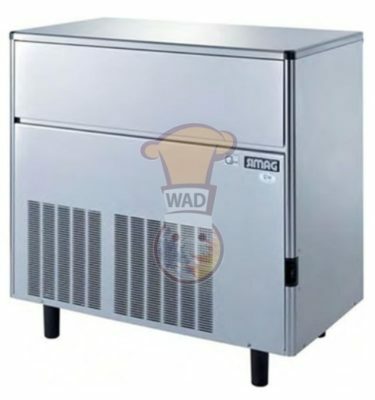 Simag Ice maker Capacity 47kg.
. cap: 47 kg / 24 hours.
. production of cube ice: 2150 / 24 hours.
. bin storage: 17 kg.
. power: 230 v / 50 hz / 380 w.
. water consumption: 120 ltr / 24 h.
. dim: 485 x 575 x 721 + 89 mm. 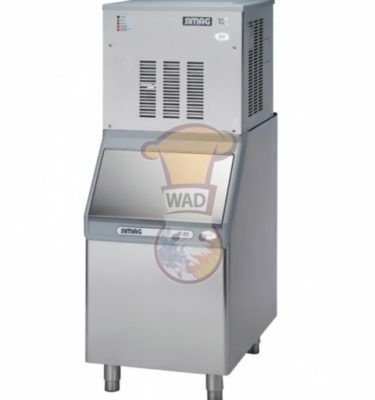 SDE50 / simag / made in italy.